We receive a lot of e-mails asking about the possibility (or even plausibility) of placing a Plasma television or plasma monitor above a fireplace. Living room configurations often put the fireplace as the central focal point. Since we all know that the real focus of your living room is the television, we hit upon the question of integration -- how to merge the logical focal point of a living room (the fireplace) with the actual one (the TV). The introduction of plasma displays has made such integrative gestures real possibilities. Mounting a plasma display above the fireplace is a great space saver, not to mention an attractive way to display the panel. This is a very common application for plasma TVs today. Will the heat from the fireplace harm the plasma TV? There are a few precautions to take before hanging a plasma screen TV over your fireplace. First, take a thermometer and tape it to the wall above the mantel, in the place where the plasma TV will reside. Then build a fire, and let it roar awhile. Now, check the thermometer. If the temperature is above 90 degrees F (32° C), then the area is receiving too much heat -- either escaping from the front of the fireplace and rising up the face, or radiating through the chimney to warm the outside wall -- for a plasma TV to hang there without receiving some modicum of residual damage. It would not be advisable to run the plasma for a long period of time while its environment is this hot. Though the Plasma TV has its own cooling system, the surrounding heat will force the Plasma display to work harder to cool itself, thus shortening the overall lifespan of the unit over time. A Plasma TV may still be run for short periods of time without harming the unit (even with the environment heat at 90 degrees F or above). If the plasma display is not turned on while a fire burn in the fireplace, then the unit will not be harmed at all even though the temperature surrounding the unit may be warm. Of course, this might not be an option for people living in places where winter lasts seemingly forever, and fires are an everyday fact of life. In such cases, you should be advised to monitor the amount of heat your plasma display is exposed to while it is running. Can the Plasma TV be mounted onto a brick fireplace? Yes, cement anchors may be used with the wall mount to secure this application. Again, the amount of heat to which your plasma is exposed should be a concern here, as some brick fireplaces can radiate quite a bit of heat. Will the Plasma Display TV be too high? Can I tilt it? Even though plasma TVs typically have a 160-degree viewing angle, tilt wall mounts may be purchased if the mantel is high. A tilt wall mount application will allow the user to tilt the unit from up to 15 to 25% vertically (in this case, downward). With this mounting installation the user will have the choice between a flat or tilted affect while adding only 1.75 inches depth to the plasma TV. A flat wall mount can add as little as 1.25 inches to the depth. So, the difference is only half an inch. Can I just place the plasma on the mantel? A typical table stand for a Plasma TV is between 4 and 6 inches in depth. If your mantel can accommodate such a plasma TV stand, you have it made. 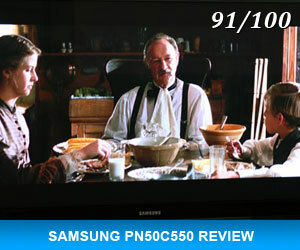 Are Plasma TVs and LCD TVs the Same?